In this Meditation for Health Podcast, Dr. 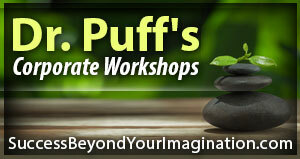 Puff give a guided meditation to help reduce stress and increase awareness. To learn more about our partner, Metagenics, click here. In this Meditation for Health Podcast, we explore the benefits of meditation to reduce our stress and increase our awareness. Click on this link to visit our Metagenics Store. Dr. Robert Puff, after spending a week on campus, explores the premiere university, Maharishi University of Management (MUM) at Fairfield, Iowa, where students are taught meditation and where ongoing peer reviewed research is being done on meditation. This is a guided meditation led by Dr. Robert Puff on how to be more patient with ourselves and others. If we are struggling with overcoming any addiction, this guided meditation can help. Listen to the guided meditation as we heal and become whole again. We can overcome anything.